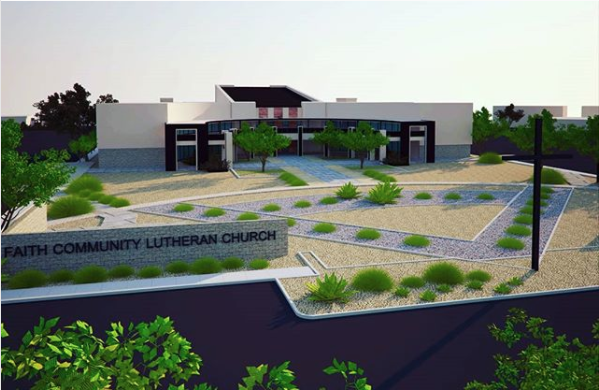 Breaking ground the first of April 2018, the new Faith Community Lutheran Church will be located on Town Center just north of the 215 Beltway. The architect, Jim Van Compernolle designed the church and multi-purpose rooms utilizing a significant amount of the visibly exposed and highly insulated Omni Block system. The general contractor is DC Building Group and the scheduled mason is Hirschi Masonry, both of Las Vegas, NV. Construction photos to be added as progress is made on the site.